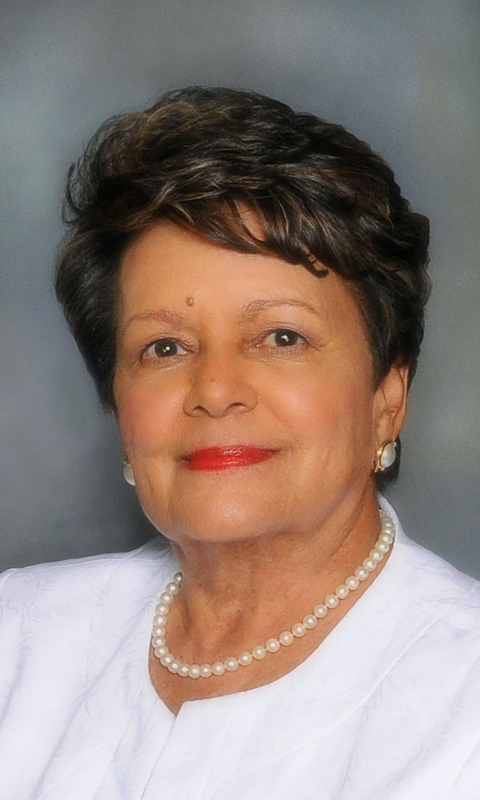 Sybil Morial may have titled her memoir, Witness to Change: From Jim Crow to Political Empowerment, but she was far more than a witness. Growing up as a middle-class black child in 1940s New Orleans, Morial was well aware of the segregation that denied her full citizenship. She came of age right at the start of the civil rights movement (fun fact: former Atlanta mayor Andrew Young was her prom date), befriending Martin Luther King Jr. during college and protesting for Brown v. Board and other causes. But her life as an activist didn’t end with the movement. Morial was married to Dutch Morial, the first black mayor New Orleans, and is mother to Marc Morial, another former mayor of the city. She recalls all of this in her first book, which she will read from at the Carter Library on Monday, March 27 at 7 p.m.
You grew up middle class in segregated New Orleans. Were you aware of your class status as a child? Yes, I was. We would see the beautiful park, the beautiful library, the beautiful beach that we weren’t allowed to go to. We had to sit in the back of the bus. We couldn’t go to restaurants. I was very aware that I was denied. Our parents tried to make things comfortable and enriching. They made a way for us to feel whole, but we knew as soon as we stepped outside we were rejected. When I came of age, I became aware of how our parents enclosed us in cocoon. Then I became a part of the [civil rights] change. You actively demonstrated in the civil rights movement, but you title your book “Witness to Change.” Why? Yes, I was an agent of change, but you have to witness to really make a decision to be involved in that change. I looked around and decided what I wanted to do. The small parts of change add up to bigger parts. When the Supreme Court decision on Brown v. Board of Education had just been passed, I thought, “What does this mean? How long does it take to go into effect? How are they going to do this?” So I tried to enroll in Loyola (University New Orleans) and Tulane because I thought, “Let’s step out and let others know integration is coming.” I kind of anticipated I would not be accepted, and I was ready for that. But I knew it was one step on our way to success, and that my one little act would be added to many other acts that would put integration on people’s minds. Tragedy came to my life with Hurricane Katrina. I was displaced in Baton Rouge for eight years. I was dealing with the flood of my house, then fire, then litigation. All of my memorabilia was gone. I would lie in bed at night and recall events in my life, wonderful events. Then the next day, I would type it on the computer to save for my grandchildren. After I got to 15 stories, I thought, “I have a book now.” It was cathartic when I was trying to recover. The writing itself, recalling my story, sharing it with my children—that was in itself the reward. What do you hope people will get out of this book? A lot of my white friends and acquaintances from after the civil rights era and politics have sent me notes saying, “I was not aware of how bad your life was in segregated society.” And it was not just me, but all black people. This book is awakening people who read it that every step of the way, we had to challenge. We went to court. We had to demonstrate. We had to raise awareness. White people often have a vague consciousness that people were denied, but this book is making them more aware. And we still struggle with some of the same things we went through in the 1960s.